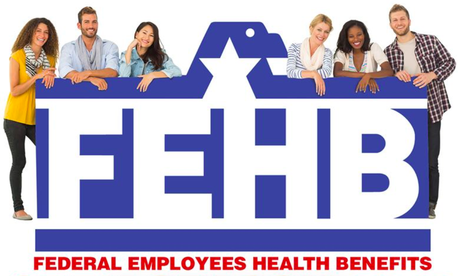 This week, the Office of Personnel Management made its annual announcement about premiums under the Federal Employees Health Benefits Program. The good news is the average premium increase, 1.5 percent, is the lowest since 1996. The bad news is if your plan is increasing its premium by $500 per month, then the average means nothing to you. If you’re eligible to participate in FEHBP, then you’re eligible to change your health plan, and your supplemental dental and vision coverage, during the upcoming open season that runs from Nov. 12 to Dec. 10. Current employees also can sign up for a flexible spending account for 2019. Although many FEHBP participants will maintain the same health coverage for 2019 as they carry this year, everybody should do three things before they make a decision about their this open season. Do you have any surgeries coming up? Some health plans have zero out of pocket costs for inpatient care in a network hospital, while others require that you pay 15 percent of the plan allowance up to the catastrophic cap. What do you pay out of pocket for prescriptions? Look at plan formularies on the FEHBP website for two or three other plans to see how they compare with your existing plan. You also can contact your plan (or potential plans) by phone to ask specific questions about costs of certain procedures, medical equipment, supplies and medications. If you or a family member will turn 65 next year, review how your plan will coordinate with Medicare Parts A and B. Tax savings of a high deductible health plan with a health savings account. HDHPs allow healthy participants to save tax-free dollars to put away for future health care costs. HSA accounts belong to you and you decide when to spend the money. HRA account balances continue in future years as long as you stay in the same HDHP. There are 17 HDHP choices in 2019. OPM has removed a restriction for 2019 regarding the premium pass-through amounts allowed to be contributed to a member’s HSA or HRA. The pass-through amount will no longer be limited to 50 percent of the plan deductible. There will be 28 low-cost consumer-driven health plans to choose from in 2019. These plans provide a medical fund or health fund for you to spend before any out of pocket costs are incurred. If you don’t spend the dollars provided in 2019, they will carry over into 2020 as long as you stay in the plan. These are especially attractive when your only health care needs are preventative. Preventative care has zero out of pocket costs and will not use your health fund dollars. Health maintenance organization plans offer the convenience of coordinated health care—and in the case of Kaiser Permanente, one-stop-shopping with all of your health care under one roof. HMOs stress preventative care and well-being, so you may find incentives to maintain your health in HMO plans. Certain FEHBP plans provide some coverage for preventative dental, vision and other services that may be important to you. For example, massage therapy is covered by the Foreign Service Benefit Plan. Some FEHBP plans offer innovations such as reduced cost sharing when members take action to manage chronic conditions, like cancer and diabetes. According to OPM, 88 percent of plans will have this in place in 2019, compared to 82 percent this year. There are 18 new FEHBP plan options for 2019 and 27 plans offering three options—including a variation of a high option, standard option and a value option. Unfortunately, the names of these types of plans are not uniform. For example, the Blue Cross Blue Shield Service Benefit plan will offer Standard Option, Basic Option and a new Focus Option. NALC offers High Option, CDHP Option and Value Option. Although details about the new BC/BS Focus option are scarce, it will be the new default FEHBP plan for 2019. It will have the lowest premiums ($53.14 biweekly for self only coverage) of any plan except the NALC Value Option ($44.84). Because NALC has a membership fee, it can’t serve as the default plan. The default plan is used when a participant does not select a new plan when their plan leaves FEHBP. Plans leaving the program in 2019 include Healthnet of Arizona, UnitedHealthcare of California, United Healthcare of the River Valley (covering eastern and central Iowa and west central Illinois), and Physicians Plus Insurance Corporation (covering south central Wisconsin). For 2019, biweekly employee premiums will range from less than $50 for self only coverage to more than $500. For self plus one and family enrollments, the low end is around $100 and the high is more than $1,000. For federal retirees, the range on a monthly basis is a low of around $100 month for self only coverage to a high of over $1,000. Remember, the premium does not reflect the quality of the plan, but the cost of administering the program and the overall health of the plan participants. The best plan for you may be one that is less expensive. Looking at differences in premiums is just the beginning of your homework to determine the best health plan for you in 2019. Stay tuned for additional open season information and consider attending a local or virtual health fair this open season. Start planning now, so you can go to the health fair with a list of specific questions to help you make your decision.